I was born and raised in England, lived in Germany for a while and then in 1995 I moved to the beautiful State of Colorado in U.S. of A.
I love living here, the only place that may ever draw me away is Italy, but unless I get very rich and can retire there, Colorado is where I will grow old. When I first moved here I was alarmed to see so many gun shops, but as I learned about ‘the way the west was won’ and ‘the Right to Bear Arms’, I got used to it and actually started to understand it. I became an American Citizen in 2003 and had to study American History to pass my Citizenship test. I became comfortable with the whole gun issue for a while. I was perturbed that there were so many accidental deaths involving guns and annoyed with the idiotic parents who would leave their guns in a place where their kids could access them. There was nothing I could do about it, but it bothered me. I live in Colorado and clearly remember the incident that happened in Columbine High School on April 20th 1999. I was in a Petsmart buying food for my cat when the news broke. The cashier could barely serve me so I asked what was going on. She turned up her radio and I was horrified. I had a daughter in High School at the time. I also had a friend whose son attended Columbine. He wasn’t hurt, but Eric Harris and Dylan Klebold killed 12 students and one teacher that day, they injured 21 students in the massacre before taking their own lives. How many lives were shattered for good? I doubt anyone involved in this dreadful event will ever truly recover. Many more horrific shootings have happened since. In Colorado we endured another tragedy at a movie theater. 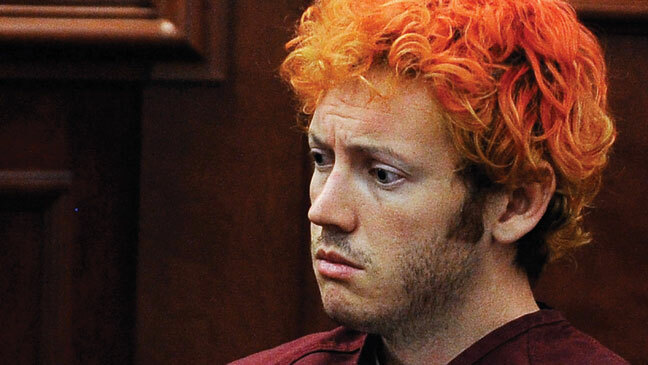 A demented gunman called James Holmes opened fire on innocent people who were enjoying their favorite Batman movie. If other people in the movie theater had been carrying guns and been able to fire back would it have helped? Of course not. In the darkness and chaos more people would have been killed in the cross fire. I am not trying to say that ‘the right to bear arms’ should be taken away from the law-abiding citizens of the United States of America, I am saying that there should be a tighter control. I don’t believe that Mr. Madison intended people to hoard semi-automatic weapons, with a view to using them. I still don’t understand the need to own a semi-automatic weapon, but then I have only been an American Citizen for ten years, although I have lived here for eighteen. What prompted this discussion? 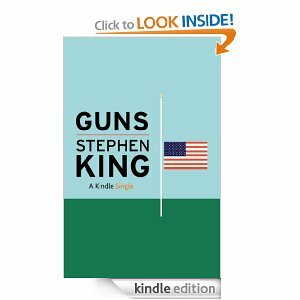 The new essay by Stephen King ‘Guns’. It is a smart and passionate argument by a man who is himself a gun owner. I have no reason to promote this short book, other than to encourage discussion. If you haven’t read it yet, you should. It is available on Amazon. James Madison originally proposed the Second Amendment shortly after the Constitution was officially ratified as a way to provide more power to state militias, which today are considered the National Guard. It was deemed a compromise between Federalists — those who supported the Constitution as it was ratified — and the anti-Federalists — those who supported states having more power. Having just used guns and other arms to ward off the English, the amendment was originally created to give citizens the opportunity to fight back against a tyrannical federal government. Don’t hate me for voicing my opinion – remember ‘Freedom of Speech’ is also part of our right in this country. Thanks for reading, no hate mail please, lets discuss.